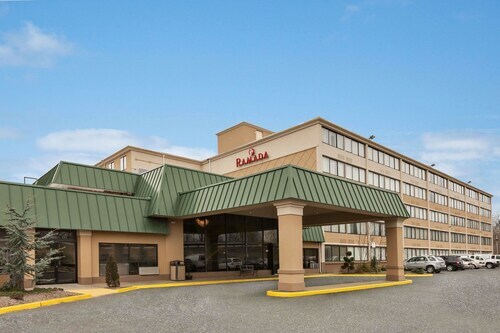 Located near the I-80/Garden State Parkway interchange, this hotel is in a business and commercial area six miles from the Meadowlands and 20 miles from Newark Airport. 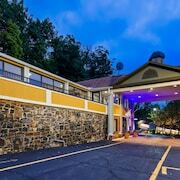 Situated near the airport, this hotel is 3 mi (4.9 km) from Fairleigh Dickinson University and within 6 mi (10 km) of Saddle River County Park and Riverside Square Mall. MetLife Stadium is 6.3 mi (10.1 km) away. Hackensack Essex Street Station is 18 minutes by foot. 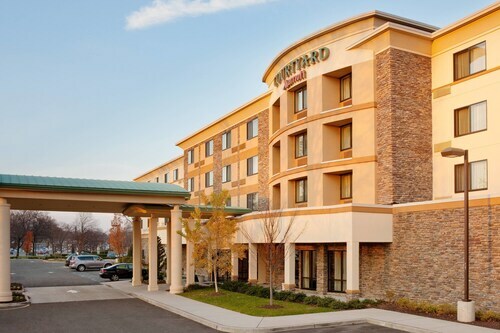 In north-central New Jersey, Hyatt Place Fair Lawn Paramus is a 35-minute drive from LaGuardia and Newark international airports, and a 30-minute drive from midtown Manhattan. Shoppers can choose from 3 top malls within a 10-minute drive, including Garden State Plaza Mall. 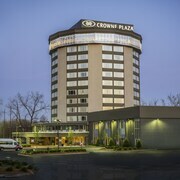 Situated in Rochelle Park, this hotel is within 1 mi (2 km) of Westfield Garden State Plaza and Saddle River County Park. Orchard Hills Golf Course and Ridgewood Country Club are also within 6 mi (10 km). 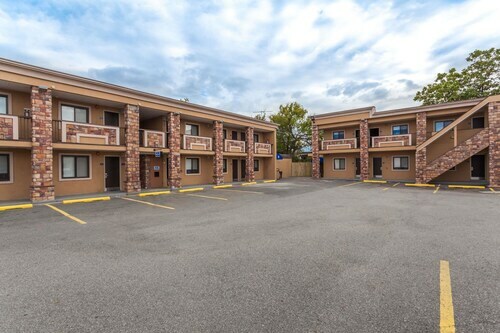 Situated in South Hackensack, this motel is 4.5 mi (7.2 km) from MetLife Stadium and within 12 mi (20 km) of New York Presbyterian Hospital and Journal Square. Columbia University and Jacob K. Javits Convention Center are also within 12 mi (20 km). 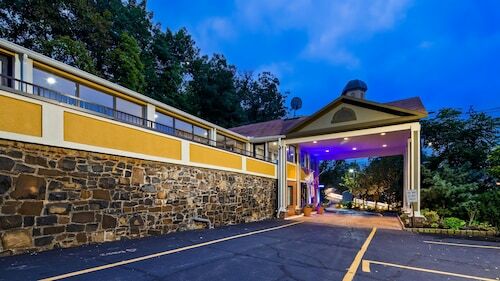 Just off exit 68 of the New Jersey Turnpike, Hilton Garden Inn Ridgefield Park is a 25-minute drive from midtown Manhattan. It’s 20 minutes by car to Newark Liberty International Airport, and a 10-minute drive to the Meadowlands Sports Complex. Westfield Garden State Plaza is a 15 minute drive. Situated on a river, this hotel is within 9 mi (15 km) of Riverside Park, General Grant National Memorial, and Columbia University. Apollo Theater and MetLife Stadium are also within 12 mi (20 km). Situated in Edgewater, this hotel is within 6 mi (10 km) of Jacob K. Javits Convention Center, Madison Square Garden, and The High Line Park. Madame Tussauds Wax Museum and New Amsterdam Theater are also within 6 mi (10 km). 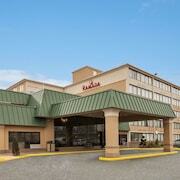 How Much is a Hotel Room in Fort Lee - Paramus? 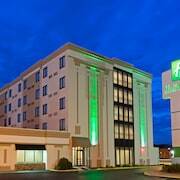 Hotels in Fort Lee - Paramus start at $67 per night. Prices and availability subject to change. Additional terms may apply. Lights, camera, action! Fort Lee, New Jersey is over 2,600 miles from Hollywood but has something in common with Tinseltown. The Bergen County borough is the birthplace of the American movie industry and provided the backdrop for a host of iconic motion pictures at the turn of the 20th century. Today, the former movie capital embraces its legacy. 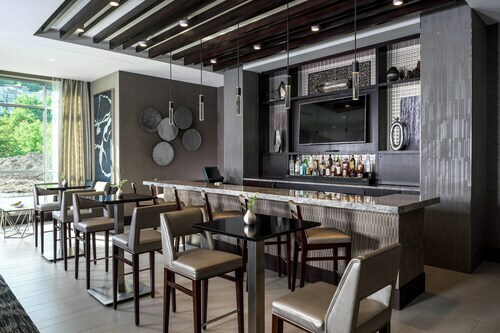 Stay in Fort Lee hotels and be transported back to the early days of cinema. The Fort Lee Museum is a great place to learn about the borough's past. Explore artifacts on loan from film historians and find out about the first movie studios in Fort Lee, including the Champion Studio on Fifth Street, which still stands today. If you prefer the great American outdoors, head over to Fort Lee Historic Park, a 33-acre cliff-top landscape with a reconstructed Revolutionary War encampment. Commemorate the 1776 revolt against the British – who wanted to control New York City – and find out how and why Fort Lee played a pivotal role in the war. 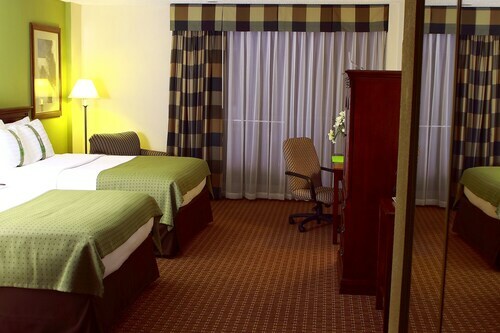 Stay in hotels near Fort Lee to be close to other local landmarks such as the George Washington Bridge, a double-decked suspension bridge that connects Fort Lee to the Washington Heights neighborhood across the Hudson River in Manhattan. Taylor Ham – a pork roll eaten sliced and grilled – is a popular breakfast option in the Garden State. Wake up early and head to Main Street to try this classic dish, developed by John Taylor from nearby Trenton. Fort Lee lies in the "pizza belt," an area that spans several East Coast states. 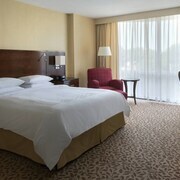 Check out Fort Lee hotel deals and taste pizza, Jersey-style. You don't have to be a Hollywood A-lister to afford Fort Lee flights. Travelocity lets you save up to $537 when you book a hotel and flight at the same time. Search for vacations in Fort Lee on your laptop, smartphone, or tablet and save! Everything was excellent. Thank you for the early check in. Everything look up to date! Lobby rooms were beautiful!